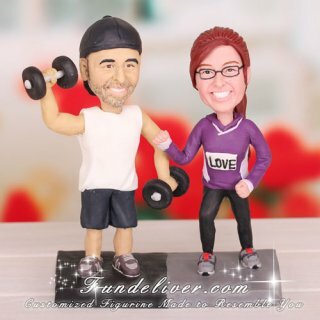 This is a completely customized runner and weightlifter wedding cake topper ordered by one of our customers. The bride is a avid runner and the groom love to workout. So they would like bride’s figurine to be in running motion/pose, wearing sneakers, dark glasses, long reddish brown hair and black tights. 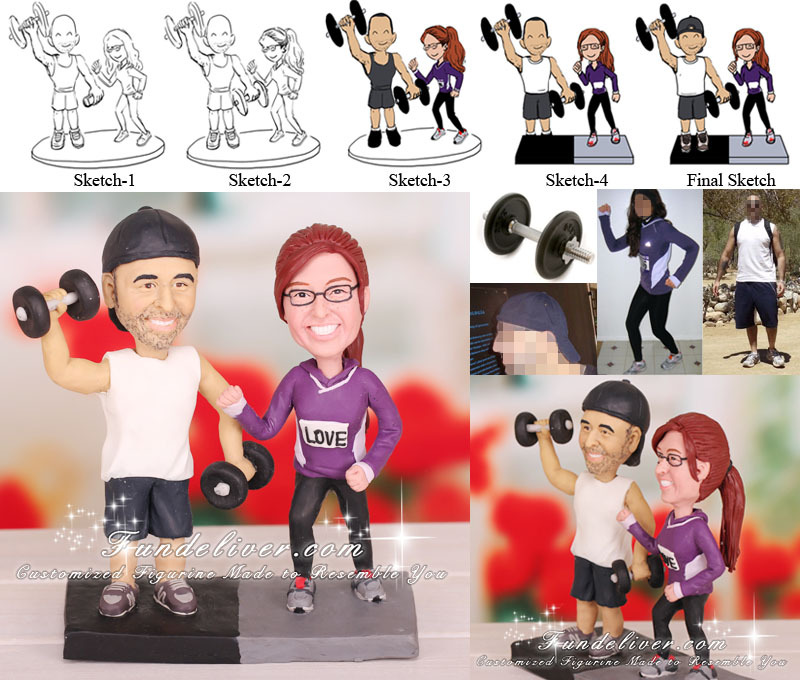 For the groom, they would like his figurine to be wearing a backwards baseball hat, basketball shorts with gym shoes and crew socks, "cut-off" T shirt. The groom is quite strong, so they would like his figurine to have very muscular arms and chest and lift VERY HEAVY WEIGHTS / DUMBELLS. Love jogging? This runner cake topper will be the best one to get your sports involved in your wedding.